Love the inclusion of resources for PowerPoint and interactive white boards, and incorporation of multiple intelligences. It is fantastic that we are able to talk about our syllabus with classroom teachers with confidence that it is of a high standard, reflecting current trends in quality teaching. I just couldn't get why I would want to write my own lessons when I'm not gifted in that area and some wonderful people have already written a curriculum for us with ‘CONNECT’. Your awesome resources and books are fabulous. Thanks very much for making our work so interesting and exciting to put across to the kids. They love their books, especially the word searches, puzzles and extra cutting out activities at the end. I first faced a Scripture class in 1973 with absolutely no training or preparation. All that we had was a small teacher’s manual. There were no workbooks, and if we were lucky the school would provide the class with exercise books. The teacher’s manual would give directions for activities which took a great deal of work because we had no means of copying anything. The most commonly used copiers in offices were Gestetners which required a wax stencil and were no good for pictures, or Fordigraphs which used a sort of carbon master. I didn’t have access to one of these. The present CEP material still seems magnificent to me. The variety of suggested activities, the CDs and the wonderful, colourful student books all make it possible to provide lessons which the kids enjoy. I would just like to congratulate Connect on the new program! I have absolutely loved teaching using the new power points, ACTS DVD clips and much more. The kids have loved the presentation and I can only say that if you have not tried presenting a lesson using PowerPoint slides, and the DVD on Acts, then give it a go. You will immediately notice the difference in the children’s interaction with the lesson. Be brave and add extra slides with the questions you want to ask them from the curriculum. I find that having them up on the board where they can think about them invokes more discussion about the lesson outcome. Thank you for the Connect SRE materials, they are great. They are biblically accurate, and they truly make my job as an SRE teacher much easier. I love the different variety of lessons. My favourite lessons so far have been the ones that make use of an accompanying CD track (i.e. Lesson 2 - God's good creation, and Lesson 12 - Gideon of the lower Primary A1 book). 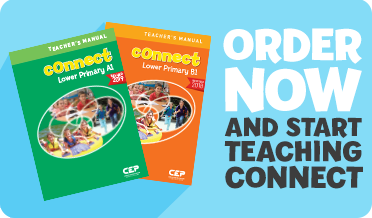 Connect provides me with everything I need to deliver an engaging and Biblically truthful lesson to my SRE classes. I am able to easily adapt the lesson plan to the learning needs of my students and have been able to use the PowerPoint slides effectively this year to engage the students as they learn about Jesus.